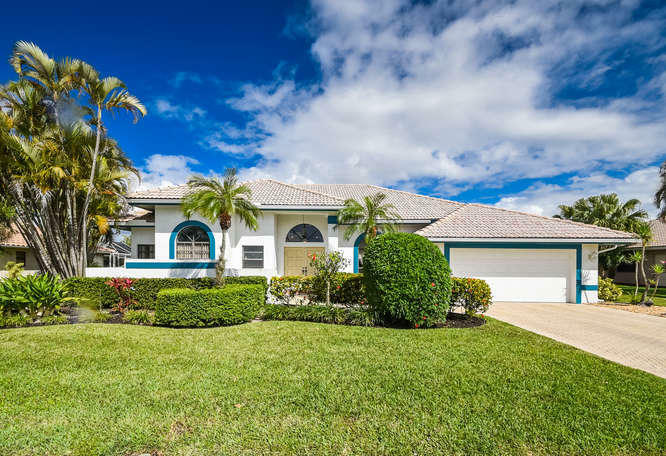 All BOCA WOODS COUNTRY CLUB 4 homes currently listed for sale in Boca Raton as of 04/21/2019 are shown below. You can change the search criteria at any time by pressing the 'Change Search' button below. "RARELY AVAILABLE SOCIAL MEMBERSHIP REQUIRED ONLY 3/2.5 Single family pool home with golf cart garage. Property features include: Pristine marble flooring throughout living areas with carpet in bedrooms, split bedroom plan, volume ceilings, separate laundry room, 2006 roof, 2009 AC, 2012 water heater. This beautiful home is meticulously kept with a great floor plan. Save $$$$$ by not having to purchase a golf membership. Driving Directions:"
"LOVELY HOME WITH GOLF COURSE VIEW. SPLIT BEDROOM PLAN, OPEN KITCHEN TO FAMILY ROOM.BEDROOMS EACH HAVE OWN FULL BATHROOMS. .MANY CLOSETS,INCLUDING ADDED EXTRA LARGE CLOSET IN MASTER BEDROOM. UPDATED KITCHEN AND BATHROOMS. ALL APPLIANCES ARE BRAND NEW, HAVE BEEN REPLACED. 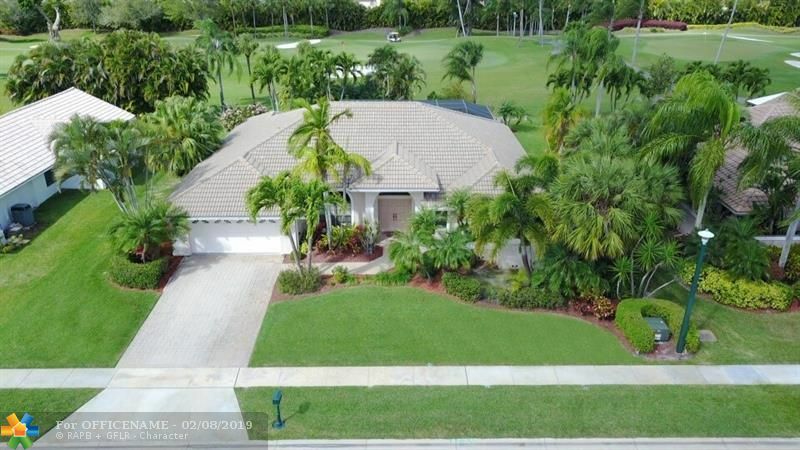 CENTRAL VAC.BOCA WOODS FEAUTURES 2 CHAMPION 18 HOLE GOLF COURSES.DRIVING RANGE, TENNIS COURTS, FITNESS CENTER WITH TRAINERS.DINING, VERY ACTIVE CLUB.MEMBERSHIP IS MANDATORY.$30,000 , FULLY REFUNDABLE WHEN YOU SELL. $3500 NON REFUNDABLE...YEARLY DUES $15309 +TAX." 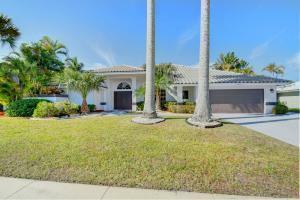 "Great pool home in the all-age championship golf course community of Boca Woods. Light and bright with high ceilings. 3 bedrooms and 2 1/2 baths on 0.31 acres, situated on the 8th fairway of the challenging Lakes course. The home has a very large family room in the back of the house. And a 20 x 10 closet!!! Split bedrooms. A/C less than 1 year old. Full country club membership is required; $30,000 equity which is refundable when the home is sold and $35,000 non-refundable initiation fee. A renovation and expansion plan of the club has been approved. The dues are currently $15,309 plus tax per year and and allow you to enjoy 2 fabulous championship golf courses, Har-Tru tennis courts, Cabana Grill, fitness center and fine dining in the clubhouse." 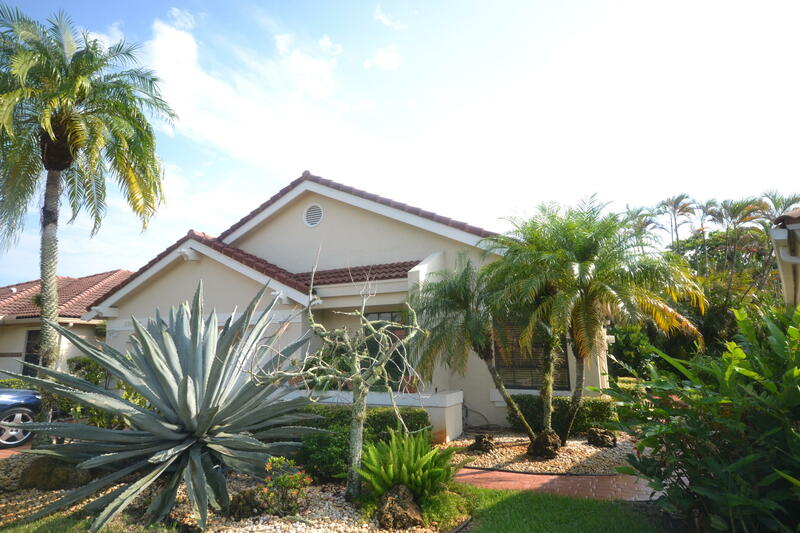 "BEAUTIFULLY REDONE 3/2 WITH POOL AND LAKE VIEW. CATHEDRAL VAULTED CEILINGS, SPLIT BEDROOMS, NEUTRAL TILE ON DIAGONAL THE HOA IN THIS COMMUNITY PROVIDES 24/7 MANNED GATE, ALARM MONITORING, BASIC CABLE AND INTERNET INCLUDED IN THE HOA FEE OF $331- PER MONTH. 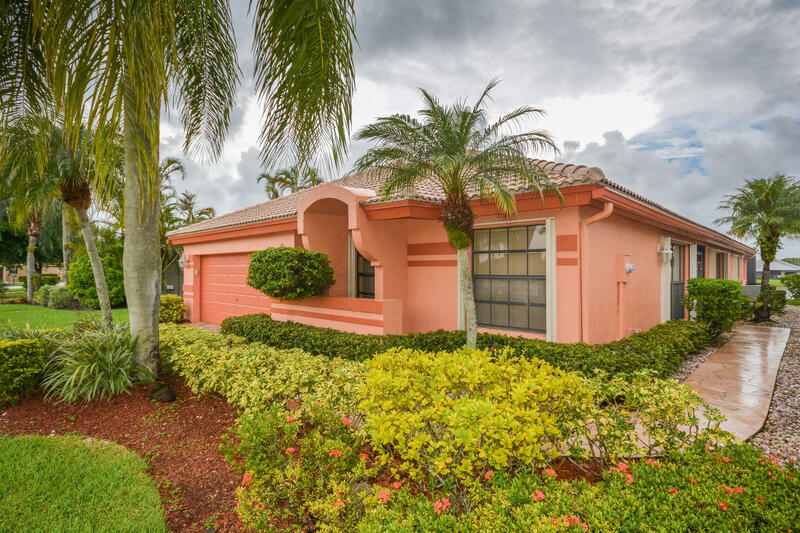 BOCA WOODS HAS TWO 18 HOLE CHAMPIONSHIP GOLF COURSES, STATE OF THE ART FITNESS CENTER, HAR-TRU TENNIS COURTS, AND WONDERFUL COUNTRY CLUB DINNING. $30,000 EQUITY BOND (REFUNDABLE WHEN YOU SELL) $35,000 INITIATION (NON-REFUNDABLE). THIS HOME IS A MUST SEE. SCHEDULE TO VIEW IT NOW." 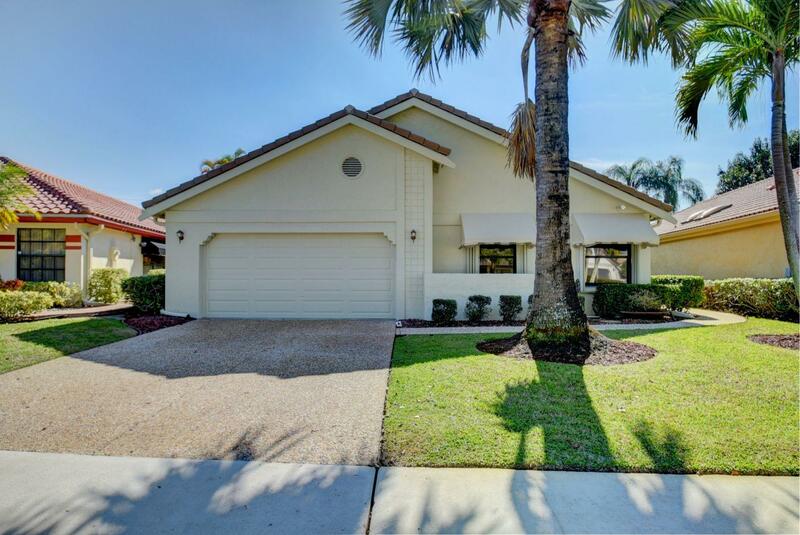 "THIS LOVELY PATIO HOME OVERLOOKS A BEAUTIFUL GOLF COURSE.VAULTED CEILINGS AND GREAT VIEWS FROM MOST OF THE HOUSE. KITCHEN AND BATH, WITH CORIAN COUNTERS. FLOORS HAVE BEEN REDONE. SCREENED PATIO AREA AND FENCED GARDEN AREA. HOME HAS SHUTTERS FOR THE ENTIRE HOUSE AND HURRICAINE RATED GARAGE DOOR." "CLUBHOUSE RENOVATED & EXPANSION APPROVED!!! ***CLUB EQUITY MEMBERSHIP REQUIRED WITH HOME PURCHASE: $30,000 FULLY REFUNDABLE WHEN YOU SELL YOUR HOME - INITIATION FEE $30,000 NON-REFUNDABLE - DUES $14,850 + TAX/YEAR - MINIMUM IN THE DINING ROOM $1,500+ TAX/YEAR - SERVICE CHARGE OF $107 PER MONTH AS THERE IS NO-TIPPING - $84.00 A MONTH ASSESSMENT FOR REDOING 2 GOLF COURSES - HOA $301 PER MONTH WHICH INCLUDES 24 HOUR SECURITY - ALL THE COMMON AREAS OF BOCA WOODS - CABLE"
"BEAUTIFUL UPDATED PINEWOOD II MODELSITUATED ON A CUL-DE-SAC STREET -BEAUTIFULLY LANDSCAPED LOT BACKING TO THE 1ST FAIRWAY OF THE LAKES GOLF COURSE IN BOCA WOODS COUNTRY CLUB - RENOVATED GRANITE KITCHEN W/RICH CALIFORNIA WALK-IN CLOSET + 2ND CLOSET LARGE SCREENED POOL ENCLOSURE+COVERED PATIO AND SO MUCH MORE. A MUST TO SEE !! - GOLF MEMBERSHIP MUST BE PURCHASED - $30,00 FULLY REFUNDABLE WHEN THE HOME IS SOLD - $35,000 INITIATION FEE,NON-REFUNDABLE. DUES $15,309+TAX AYEAR - MINIMUM IN THE DINING ROOM $1,500 + TAX A YEAR - SERVICE CHARGEOF $107 A MONTH AS THERE IS NO TIPPING - BOCA WOODS FEATURES 2 CHAMPIONSHIP GOLF COURSES - DRIVING RANGE - PUTTING GREEN - TENNIS COURTS - FINE DINING - FITNESS CENTER W/UP TO DATE EQUIPMENT - PROFESSIONAL INSTRUCTORS, LARGE CARD ROOMS, BOOK"